Why Isn’t the HPIA listed in Best’s Rating Guide? The first basic property policy was issued by the HPIA in March 1992 with a $250 deductible and a limit of $125,000 dwelling coverage. In the aftermath of Hurricane Iniki, the HPIA expanded by offering basic property insurance throughout the rest of the State of Hawaii with a Dwelling Limit of up to $250,000 subject to a deductible of $500 or $1,000. The HPIA currently offers a maximum Dwelling Limit of $350,000 subject to a deductible of $500, $1,000, $2,000 or $3,000. All property and casualty insurance companies licensed to do business in the State of Hawaii are automatically members of the Association. Every licensed Property and Casualty agent in the State of Hawaii is authorized to assist a property owner and submit an application for coverage. 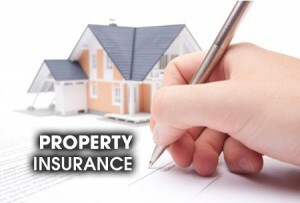 All applications for coverage must be submitted to the HPIA by a licensed Property and Casualty agent. General underwriting guidelines apply and a deposit premium of $250 is required to bind coverage. Once the application is accepted and the policy is received, the balance of the premium is due. As the insurer of “last resort”, the HPIA premium is one of the highest in the State for the types of policies issued and therefore a diligent effort should be made to obtain coverage in the voluntary market. It is recommended that HPIA policyholders shop for a different insurer at least annually in order to search for coverage that is more comprehensive than that offered by the HPIA. The HPIA does not estimate the fair market value of your property, the cost to rebuild your property, or the cost of labor and materials in your, or any other, area, or determine the appropriateness of the coverage you request. Those are the applicants responsibilities. The licensed agent can assist. The HPIA is run by a Board of Directors consisting of 8 insurance companies elected by the membership and 4 people appointed by the Hawaii Insurance Commissioner to represent the public and insurance agents in the State of Hawaii. A plan administrator issues policies and handles any resulting claims, on behalf of the HPIA.